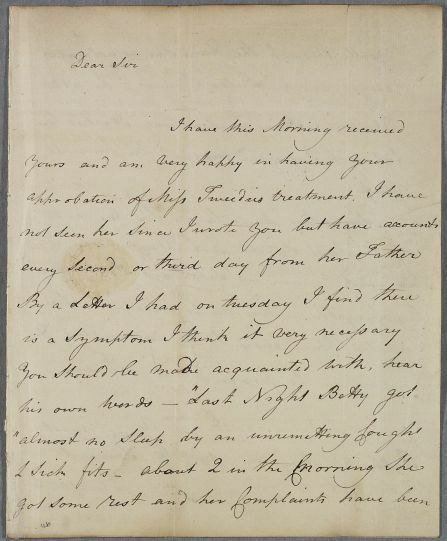 Letter from W. Grieve concerning the case of Miss Betty Tweedie, and recounting a letter he has received from her father detailing some of her other symptoms. 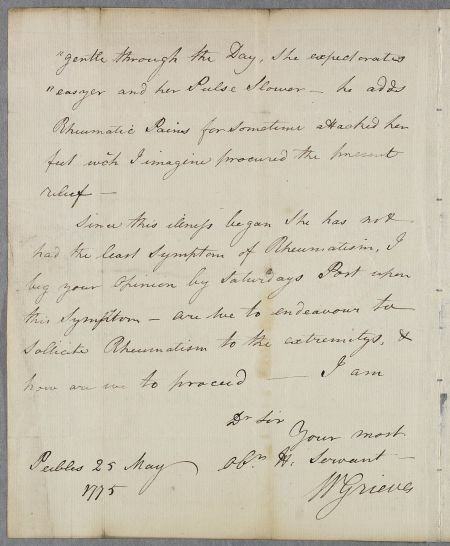 Summary Letter from W. Grieve concerning the case of Miss Betty Tweedie, and recounting a letter he has received from her father detailing some of her other symptoms. 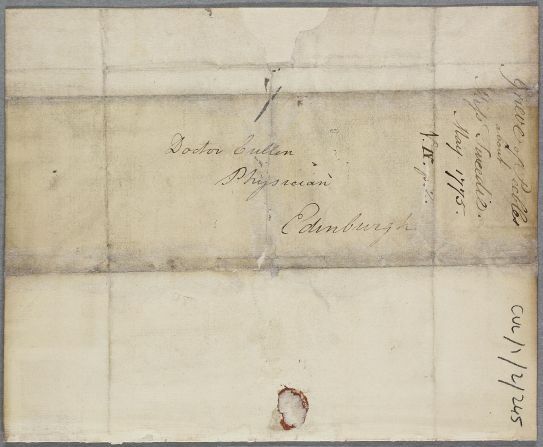 Case of Miss Tweedie with a 'Rheumatic Complaint' after getting cold in church.